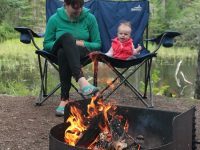 Bonnechere Park has become one of my favourite Ontario Parks especially now that I have a young child. 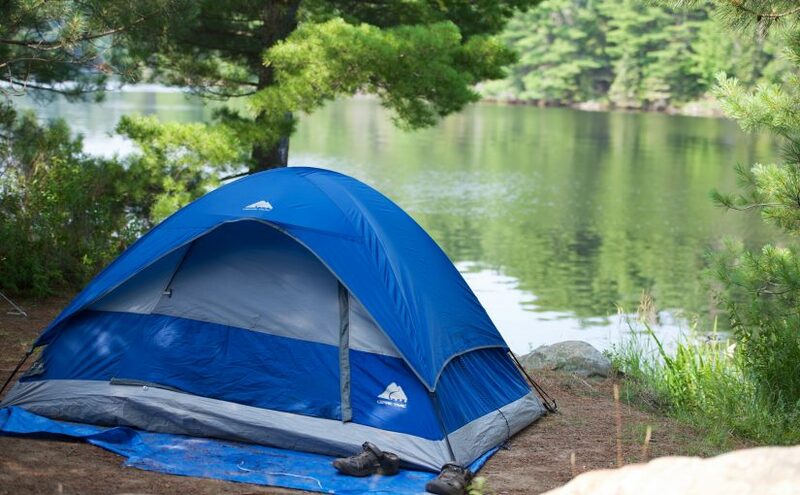 It is located along the Bonnechere River and the sandy shorelines of Round Lake. I’ve had the opportunity to stay at one of their cabins, the Fallen Tree Cabin and I loved it so much that we went back the following year to the same cabin. It was a nice little home away from home and with so many activities in and around the park, we made sure to take advantage of all of them. 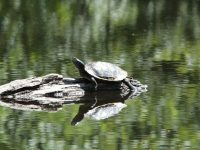 Here is a list of things to do at Bonnechere Provincial Park. 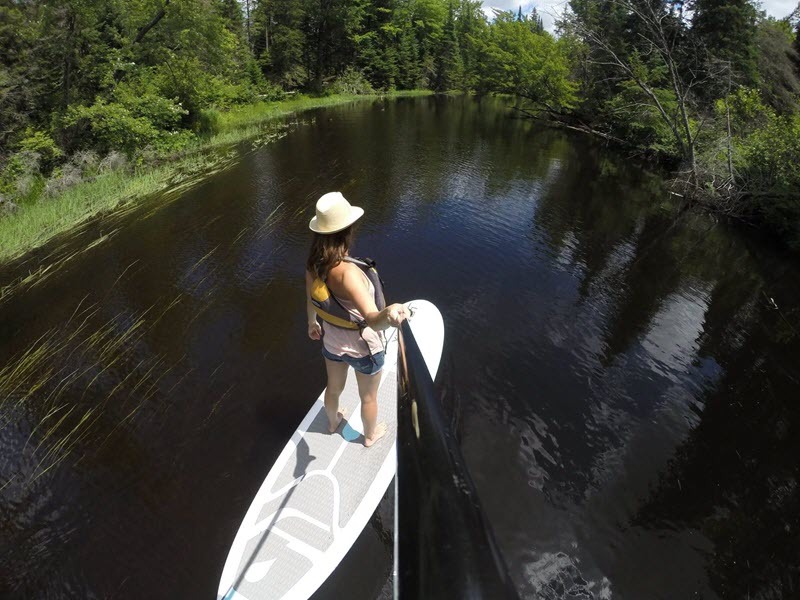 The Bonnechere River flows into Round Lake and it is a great spot for canoeing. 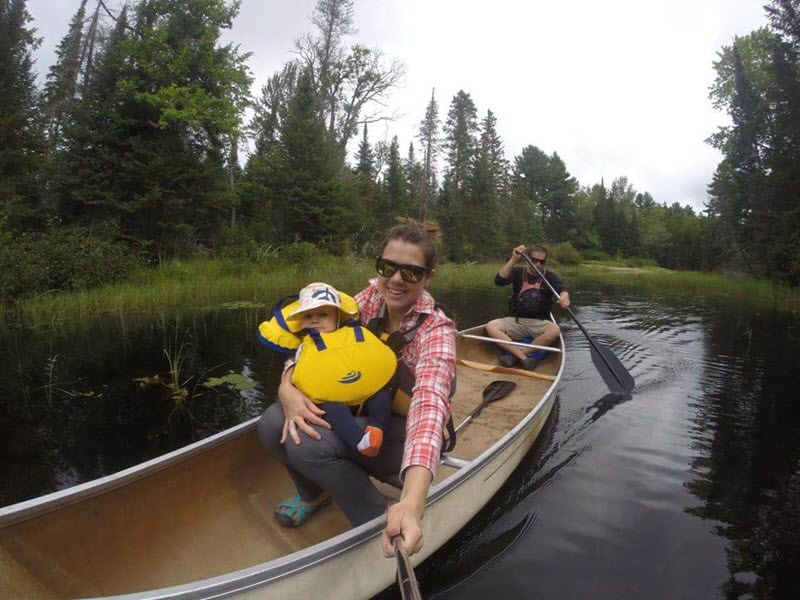 The windy narrow river creates a calm paddle and it is where our daughter (5 months old at the time) got to experience her first canoe ride. 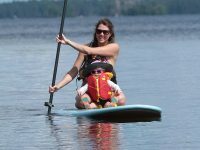 Bonnechere Park offers canoe, kayak and SUP rentals. We have our own SUP so we used it, but if you’ve never tried Stand Up Paddle Boarding, you should. Round lake is a great spot to try it out if you are a beginner because if you fall in, you’ll be landing in sandy shallow water, which can help you get back on it again. Prefer to kayak? Both bodies of water are perfect for paddling. 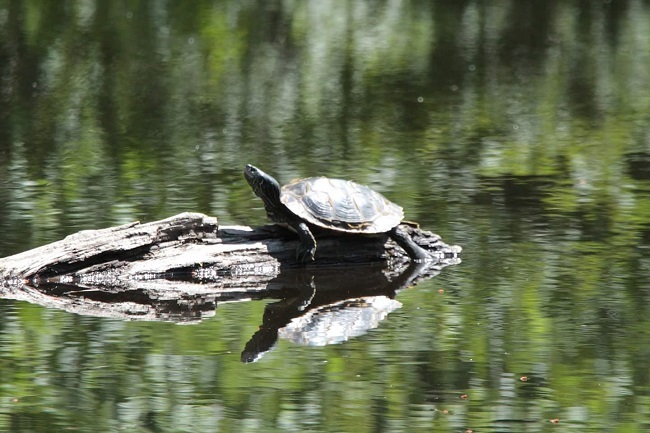 The Bonnechere River is a great spot to view wildlife especially when you are quietly paddling your kayak. 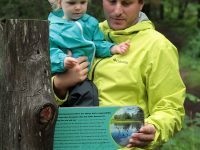 The park has a 2km-shaded pathway called the McNaughton FIT Trail that has posts along the trail that act like a “museum on a stick”. 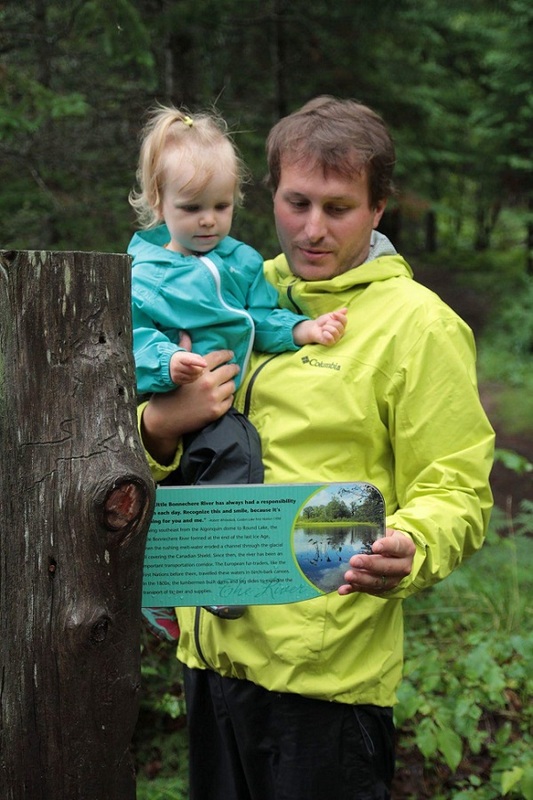 It’s a easy but educational hike and is great for children. If you want a hike with a view then you can take a short drive to the Whispering Winds Lookout Trail. It is a short hike (about 10 minutes in length) but has a beautiful view. It’d be a great hike to check out the fall colours. 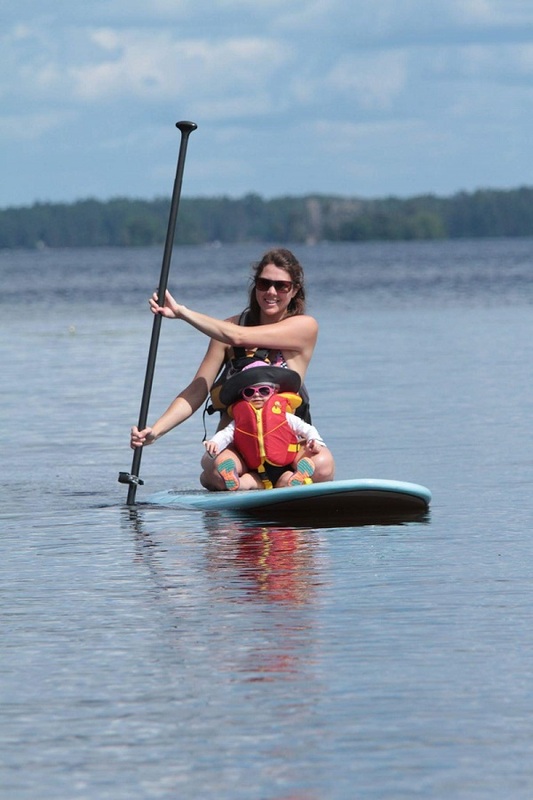 The beach at Round Lake is one of the most beautiful beaches in Ontario’s Highlands and probably the most kid friendly. It is well maintained and you can walk out very far before the water goes over your head. It is the perfect beach for children. 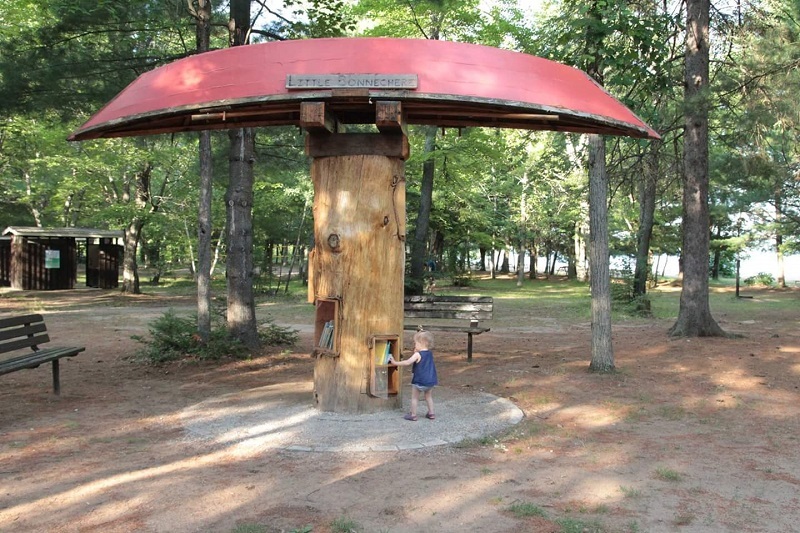 Reading is so important so I absolutely love that Bonnechere Park has a book tree. The beautiful tree is made from the trunk of a massive white pine, estimated to be about a century old. I loved watching our daughter (15 months old last summer) pick out her own books from the book tree. 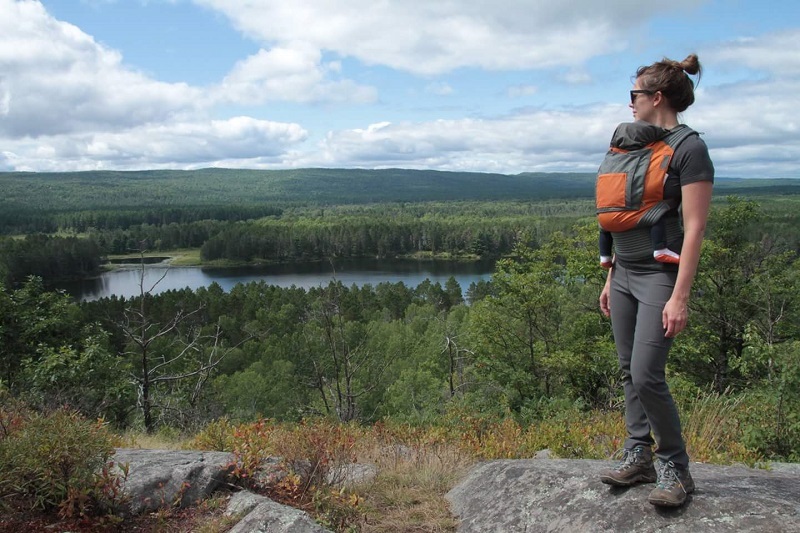 There are probably a lot more things to do in the park that I haven’t listed like biking, the playground, and the programs that they offer at the Davenport center but the ones I listed are my favourites and they are the reason we keep going back to Bonnechere Park. 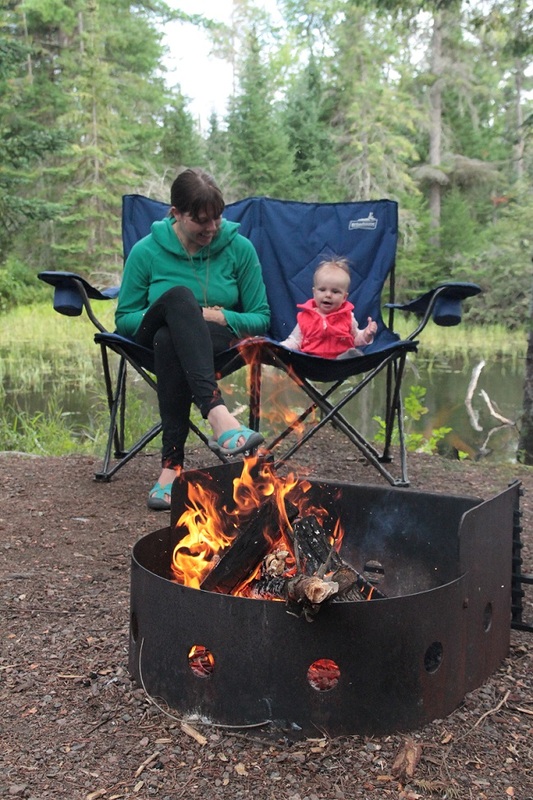 If you’ve never been to Bonnechere Provincial Park you should make the trip this summer. If you’re like me and have an Ontario Park’s bucket list, this one needs to be on it. We’ve been thinking about spending a weekend here for some time now and I think we might just have to pull the trigger after reading your blog. Thanks!